Collective Impact is a framework that is being used by many communities to tackle complex problems. At the heart of the framework is the notion of bringing together diverse voices (business, government, community organizations and citizens) to deeply understand the problem and begin to develop strategies to address the systems context and policy barriers. 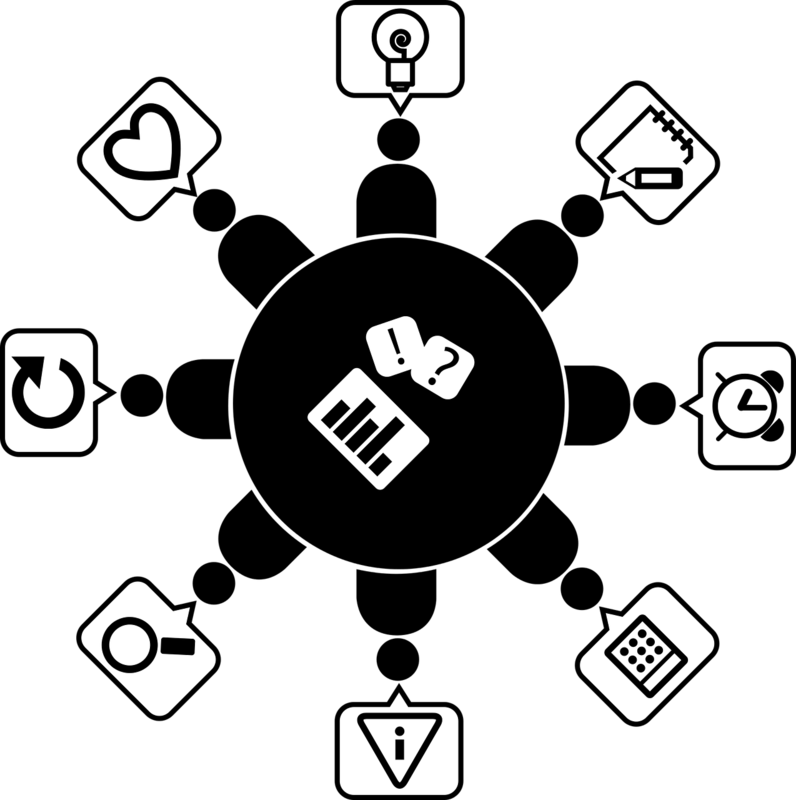 The Collective Impact framework consists of five core conditions: the development of a common agenda that is shared amongst all stakeholders; shared measurement strategies to understand if progress is being made; engaging in mutually reinforcing activities; continuous communications and the support of backbone infrastructure. Implicit in the Collective Impact approach is that the collaborative planning table tries to advance all the conditions effectively to both shape and measure change and impact. But how does this practically happen? In 2016, the Tamarack Institute developed the Collective Impact Self Assessment and Planning Tool. This tool is designed as a reflective practice for members of Collective Impact planning tables. We have learned that Collective Impact efforts tend to evolve over time, and that there are distinct phases to this collaborative effort. 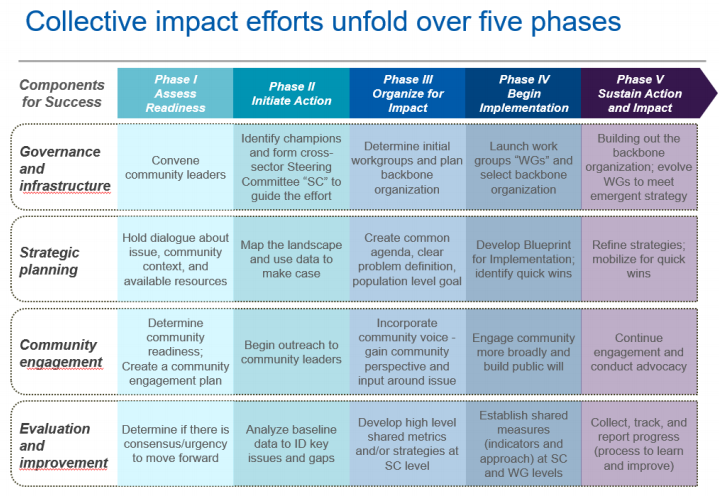 It usually takes a typical Collective Impact effort three to five years to work their way through each of the phases, although some may move faster and others slower depending on who are engaged and the readiness of the community to change. The Collective Impact Self Assessment and Planning Tool specifically focuses on the core elements required to advance collective work including governance and infrastructure; strategic planning; community engagement and evaluation and improvement. 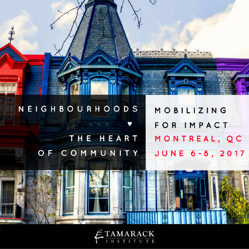 Tamarack has facilitated Collective Impact groups in the application of the self-assessment tool to their collaborative efforts. The tool provides both reflective questions designed to prompt thinking and an assessment as to the progress you are making. At the end of each section, participants are encouraged to write their comments. We have learned that Collective Impact efforts often find themselves crossing across the phases. For example, the effort might have in place strong governance practices but have not focused on community engagement. We invite you and your Collective Impact effort to use the self assessment tool. Let us know how it works for you and any suggestions you might have to improve and adapt the tool. 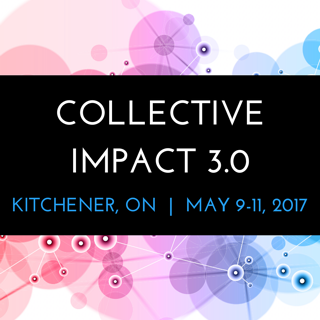 This is one of many practical tools that will be shared at the Collective Impact 3.0 workshop happening in Kitchener, May 9-11, 2017. If you want to kick start or improve your collective impact effort, this is a workshop that you will want to attend. 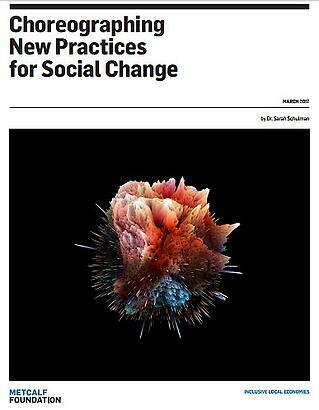 We recently published, Choreographing New Practices for Social Change, a document that highlights how our network of non-profits, social scientists and service designers works with people at the margins – and the staff at agencies that support them – to build front-line innovation teams; source scalable solutions; and, spread stories of learning, innovation and change using the lens of experimentation. Once we’ve got a statement, we like to interrogate it and ask the hairy 'so what' questions. So, what if there are too many young people who are unemployed? Who experiences the pain of that problem, and what kind of pain? Is it parents of young people who are unemployed who experience the pain to their pocket books and psyche? Is it the young people themselves, and their self-esteem & identity? 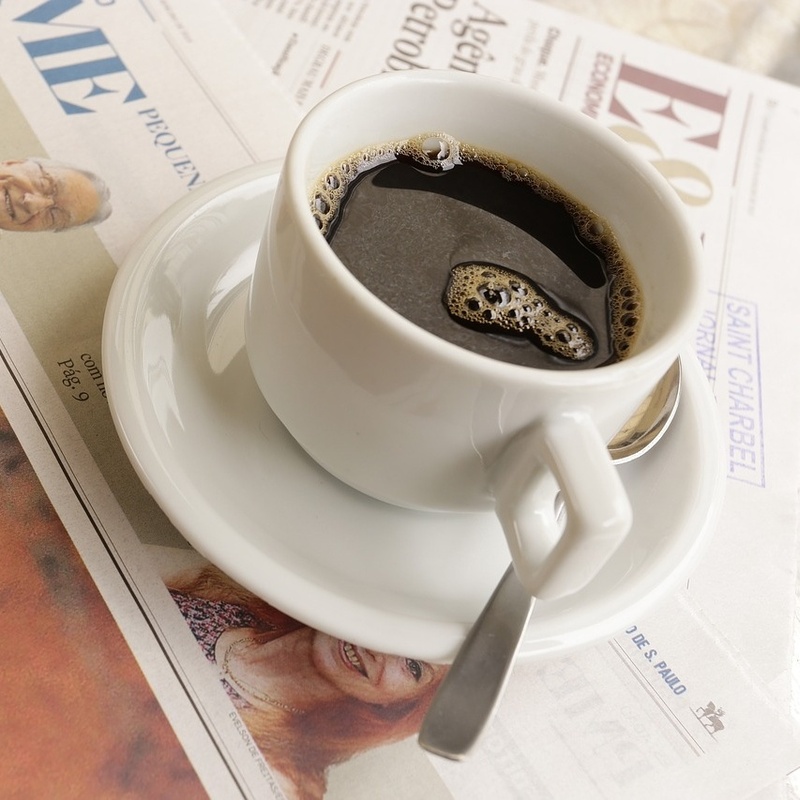 Is it employers who are experiencing the pain of missing out on a good resource? We try and name potential pain points as a starting point for ethnographic field work. To give our ethnographic field work some rootedness, we start local: in one social housing complex or neighborhood or geographically distinct area. Our goal isn't to do statistically representative work or to make generalizable claims about a problem. Our goal is to go deep and understand a handful of people’s lived experiences. 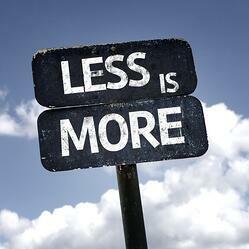 All so we can generate ideas of what could be different that we then test with larger numbers of people. We avoid problem statements that infer the answer so that we can keep our ethnographic research open and exploratory. Statements like: “There are not enough low-income housing units for homeless people,” assume that houses are the solution to homelessness. Instead, what is the pain that folks who are homeless are experiencing? Is it the lack of privacy, or stability, or protection from inclement weather, or… Each of these pain points could lead to quite different and creative solutions. InWithForward is currently building Canada's first shared Social Research & Development platform. After a decade of trying to embed experimental approaches throught one-off projects, there's a real need for permanent infrastrtucture. Social sector agencies were designed to deliver servies; they weren't set up to continuously identify assumptions, generate alternatives and test time. Over the next year, we're enabling non-profits, their staff, families, funders, accreditors, and licensors to come together to innovate from the ground up. Email us at: hello@inwithforward.com to learn more and get involved. 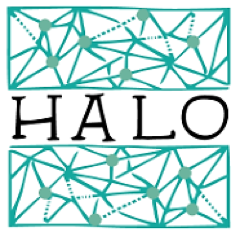 The Halo Project is an attempt to try and determine just how all of that work adds up in terms of contributions to the common good. This ‘determining’ is about measurement – putting some quantity around common goods that are difficult to define. Pioneering work done by Ram Cnaan in 2010 at the University of Pennsylvania attempted to put a value on the work of ordinary, local congregations in Philadelphia. Following a hunch, Dr. Cnaan and his team used established measurement tools developed to value things like hockey tournaments, conferences and other somewhat intangible functions in communities but turned them to a community organization not typically analyzed in economic terms. Put another way, the question they were chasing was simply, “If this congregation disappeared tomorrow and we had to replace everything, including all of the social supports, programs, care, and so on, what would that cost?” The surprising discovery was that the full value of the work done by an ordinary neighbourhood congregation, even of modest size, is 4-5 times the value of their annual budget. That means their contribution to the common good, the social infrastructure of their communities, is strongly generative. In years gone by, swamps were drained because it was thought that they ‘caused disease’ or ‘produced deadly vapours.’ Today we know that a great deal of value is provided by those swamps. Similarly, in our ignorance, we may consider the loss of congregations as a natural side-effect of advancing civilization. However, like the swamps, we are learning how critical social groups like congregations are to thriving communities. To test the validity of the earlier work, The Halo Project was organized and used the Ram Cnaan framework in a Canadian urban setting. The results in Toronto reflected a dynamic that is similar to the one seen in the Philadelphia study. Ten local congregations together generated common goods valued at an astounding $45M per year. It turns out that local congregations are powerful producers of social goods that extend far beyond their local members. Work is now underway to develop the Halo Calculator app that is expected to be available by the summer of 2017. The app will allow users to measure the halo effect of their own faith-based organization. A report summarizing the research method, specifics about each congregation and the measures used to produce the valuation are available at the link below. While a great deal more work remains to be done, the early signs suggest that learning more about this dynamic will yield further insights that could be applied to other community organizations, arts groups, and similar social institutions that often provide so much unseen good in our communities. As a Learning Institute, Tamarack is committed to making the work of community change easier and more effective. We do this by teaching, writing and both hosting face-to-face and online learning opportunities to provide leaders with the knowledge and inspiration they need for success in their community change efforts. In 2016 we were proud to welcome more than 22,000 learners to engage with us. Over the past fifteen years, we have learned that, true community change occurs when citizens and organizations adopt a new way of thinking and working together. We see our role as providing our members with access to the latest thinking, knowledge, and resources delivered in accessible and creative ways. This can be challenging since knowledge is dynamic and always evolving. That is why we have always placed a high value on the co-generation of knowledge – collaborating with our members in the field – to more effectively link theory and practice. Jerrold McGrath – A Design Approach to Collective Impact -- Jerrold’s presentation draws upon lessons learned by the Banff Centre for Arts and Creativity as they prototyped over 50 programs in 3 years to understand effective ways for diverse communities to tackle complex problems. The learnings from this work led to the creation of a design approach, called MDA, which proved useful in convening and accelerating collective initiatives. The MDA approach includes: the reframing of complex problems; the suspension of existing system constraints; and, help to look at problems through a lens that was not shaped by existing practices. Once the solution space had been reshaped, new solutions could be traced. Marilyn Hamilton – Imagine Durant: Place Caring & Place Making in the Human Hive – This workshop profiles the work of Imagine Durant (Oklahoma): a community based initiative for creating a unified vision for the future, and the strategies to make it happen. The presenters will share how key sponsors from the private sector and indigenous Choctaw culture worked together to attract an active Board. They will also demonstrate how, by mapping values and reimagining the city, the vision of Durant was repositioned with developers, the school district, university students, Main Street stakeholders, artists, business owners, farmers and banks. Chris Thompson – Collaborative Leadership: The Fund for Our Economic Future – This Case Study will highlight Chris’ nine years of experience as Director of Regional Engagement for the Fund for Our Economic Future – a collaborative in Northeast Ohio focused on improved job creation, job preparation and job access outcomes. 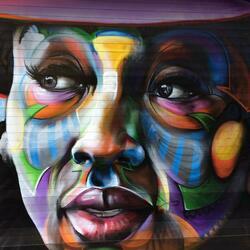 In particular Chris’ work highlights the distinct form of leadership required by successful collaboratives. Those trained in organizational leadership often struggle as collaborative leaders. That is because, within a collaborative there are no clear lines of authority, and partners are independent of one another. Chris will share resources and tools to assess and strengthen the effective collaborative leadership skills needed to influence the collaborative process and catalyze enduring, positive change. Margaret Coshan – Healthy Neighbours: Developing a Collective Voice – This workshop highlights the work of Neighbours Helping Neighbours a collaborative led by a group of grassroots residents living in Toronto’s St. James Town neighbourhood. The group’s ability to develop a collective resident voice is remarkable given that the St. James Town neighbourhood includes 30,000 residents from 67+ cultures living in one square kilometer. 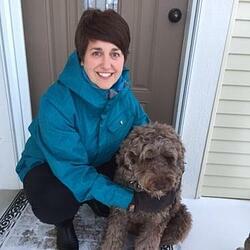 This collaborative’s approach has developed a community model for screening and health programs that relies on neighbour connections to effectively reaches residents at risk of chronic disease. The profiles above offer just a taste of the rich learning to be had when practitioners and thought-leaders meet to learn from one another, and together deepen our understanding of Collective Impact as an emerging field of practice. We hope you can join us! Community change is personal. It is, at its very core, about changing citizens and communities for the better. However, we often depersonalize this process. We talk about services, programs, statistics and organizations in a way that removes the face of citizens. 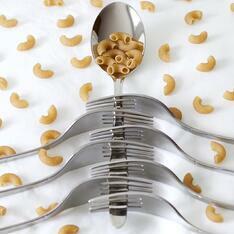 Perhaps this makes the process easier. It also removes the urgency of the issue. If we don’t reflect on the daily impact that citizens are facing in our communities, we can spend endless time in conversation about the problem. I was reminded last week how the process of community change can be deeply meaningful when we enable the space for discussions about the issue to have a personal lens. In facilitating a group conversation about a common agenda, participants around the table shared their personal journeys and how this issue was real to their life circumstances. In telling their stories, these individuals expressed that they were called to be part of the table because of their experience. After each conversation, the table paused and reflected on the impact of these personal stories and their shared work. At Tamarack, our Deepening Community work is centred on four pillars of engagement: sharing our stories; enjoying each other; caring for one another; and working together for a better world. Sharing our stories, their first pillar, creates the space for relationship and trust building. If we know each other’s stories, we have a deeper understanding of motivation and connection to the shared work. Likewise, the other pillars: enjoying each other and caring for one another are also essential to working together to build a better world. My reflection and the challenge that we all face is to create safe spaces to enable the community change process to be both forward moving and at the same time allow for a deeply personal connection to grow amongst those around a community change table. This requires us to draw from different leadership competencies: those of analysis for the process and empathy for the personal. Not everyone will feel comfortable in the space of the personal. Some will shy away from this. But there will be those that embrace it, and can transform how a group understands an issue and ultimately, how they will respond to the community change need. Since its inception in 2002, many Vibrant Communities Canada partners including the Hamilton Roundtable for Poverty Reduction have established initiatives which assist individuals living in poverty to share their stories in ways that speak to the need for community change. The Speak Now Hamilton speaker’s bureau has engaged and empowered local citizens to share their very personal journeys. It has had a powerful impact on a community grappling with understanding poverty and the impact of this issue on its citizens. What if we all had the courage to share our stories? Could we change our work from being so process oriented to building a deeper connection to the change we are seeking? 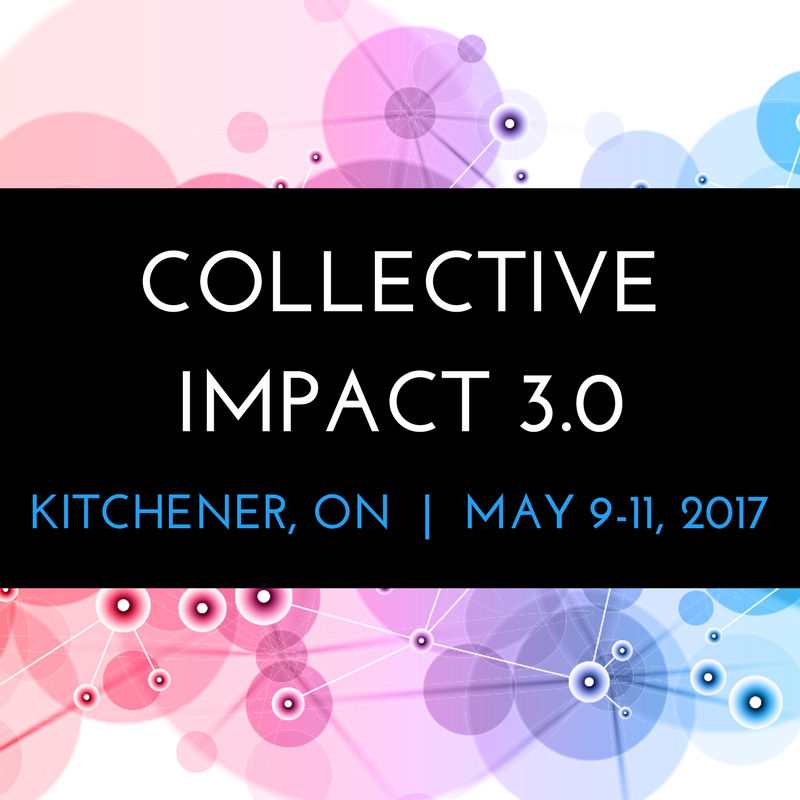 Collective Impact 3.0 is a three-day intensive workshop for practitioners in early stage, mid stage and later stage community change work. The workshop will explore the latest in the practice of collective impact from experts, practitioners and early adopters of the work. This workshop is best suited to those who have an interest and some basic knowledge and experience with collective impact and are eager to tackle the challenging but critical task of moving the needle on complex community challenges like poverty, homelessness, environmental change, early learning and active living. Learn more about this brand new event. Neighbourhoods ♥ The Heart of Community: Mobilizing for Impact is a unique national learning event that brings together the most innovative and inspiring examples of neighbourhood action at its best and then invites us to accelerate our effectiveness by learning from one another and imagining how we can ensure our collective work has greater impact. Participants at this event will be introduced to effective programs and resources that are successfully reconnecting neighbours, deepening community and advancing positive change on a range of complex issues. Learn more and be the first to Register. Join Paul Born for a one day workshop where you will learn how to engage and deepen your community in order to build a common agenda for large scale change. Paul will share not only the fundamental principles of Collective Impact, he will provide key insights as one of North America’s top Community Engagement leaders on how Deepening Community can sustain us as leaders and produce the outcomes we so desire. Can’t make it? Don’t fret. By registering you will also receive a recording of the live session along with related resources.